Well folks, it happened quickly this year – Holiday Season is already here. And how do we know this? Because I can smell pumpkin pie as I type this. Which means I’ve got to make this quick. 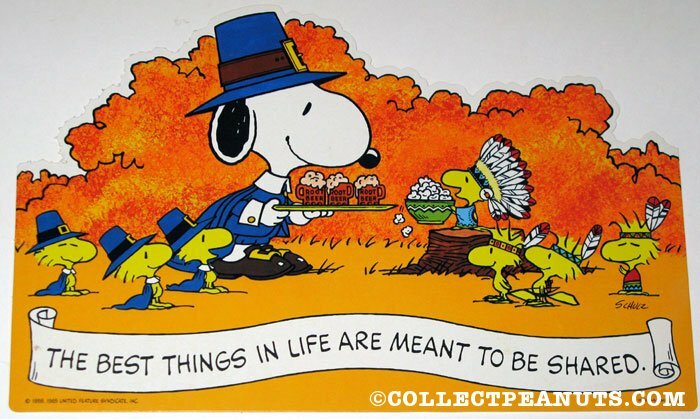 First off, we at MintVine would like to wish you and all your families a wonderful, safe, and cozy Thanksgiving. Secondly, we want to say Thank You. Thank you for your participation and all the time you put in to taking our Surveys, Polls, and Offers. Thank you for telling all your friends and facebook buddies about us and telling them how wonderful we are (hopefully). Fun Facts: Mashed potatoes, pumpkin pies, popcorn, milk, corn on the cob, and cranberries were not foods present on the first Thanksgiving’s feast table. And for those of you who took the time to read everything – we would like to thank you too. Anyone who reads this and posts Happy Thanksgiving on our Facebook page will receive 25 bonus points credited to their account.